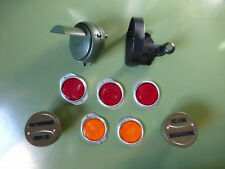 Vendo in blocco set per Jeep M38A1 comprendente . Boite de 100 fusibles verres USA utilisés par l'Armée Française pour les véhicules sous tensions 6, 12 ou 24 volts. Conditionnés en boite de 20 pochettes contenant 5 fusibles chacune. en lettre. • RESIDENZA. • CODICE FISCALE O PARTITA IVA. • RAGIONE SOCIALE. Per la Fatturazione Fornire INFORMZIONI PER LA FATTURAZIONE. Codice 83507005. JEEP CHEROKEE XJ. Jeep Cherokee XJ. FUSIBILE 30 A - 1 PEZZO. Ricambio originale Mopar - Chrysler Jeep. COMPASS PATRIOT. FUSE BOX COVER. GENUINE NEW. 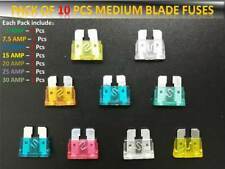 CAR STANDARD BLADE FUSES We are supplying a pack of 100 car fuses to suit 99% of cars. Consist of standard blade fuses of 3 AMP and 20mm wide. 100 Fuses in total. All variable other sizes also available in our shop. Fast Dispatch PLEASE NOTE Important notice BEFORE ordering Please DO NOT rely on the compatibility list to make your decision of parts, as cars come with many variations and fitments on the same make and models. Check things like dimensions size and other stated fitment criteria prior to ordering to make sure you get the correct part as vehicle parts can have more than one option due to changes on chassis / engine number or modification. We cannot be held responsible for wrong parts ordered if you have not carried out the above. If you have any questions about. 2014 Jeep Compass MK49 2.4 modulo Bluetooth. JEEP COMPASS. Model Compass. Fuel Type Petrol. Body Colour Black. Engine Code ERZ. Body Type SUV. Chassis Number 1C4NJDDB7ED625128. Part number: 04692087AB. Removed from: Jeep Grand Cherokee 2006. Item: Fuse box. (ZJ model 1995-1999). Jeep Grand Cherokee Fuse box. This vehicle part was removed from a year 1999 Jeep Grand Cherokee Orvis. Removed from a right hand drive car. Oder suchen Sie einen Besonderes Fahrzeug, Sondermodell/Ausstattung. Jeep Compass (SUV) Bj. Nicht das richtige gefunden?. Widerstand Gebläsemotor. Cherokee XJ 97 - 01. Resistor Blower Motor. OEM No.:4864957. CAR MICRO BLADE FUSES We are supplying a pack of 100 car fuses to suit 99% of cars. Consist of micro blade fuses of 3 AMP and 10mm wide. 100 Fuses in total. All variable other sizes also available in our shop. Fast Dispatch PLEASE NOTE Important notice BEFORE ordering Please DO NOT rely on the compatibility list to make your decision of parts, as cars come with many variations and fitments on the same make and models. Check things like dimensions size and other stated fitment criteria prior to ordering to make sure you get the correct part as vehicle parts can have more than one option due to changes on chassis / engine number or modification. We cannot be held responsible for wrong parts ordered if you have not carried out the above. If you have any questions about . Jeep Compass. Driver Position Plastics and Carpets we always advise cleaning/valeting before fitting. Your warranty only covers the cost of the part itself and not any labour costs incurred in fitting / removing the part.more. CAR MICRO BLADE FUSES We are supplying a pack of 100 car fuses to suit 99% of cars. Consist of micro blade fuses of 20 AMP and 10mm wide. 100 Fuses in total. All variable other sizes also available in our shop. Fast Dispatch PLEASE NOTE Important notice BEFORE ordering Please DO NOT rely on the compatibility list to make your decision of parts, as cars come with many variations and fitments on the same make and models. Check things like dimensions size and other stated fitment criteria prior to ordering to make sure you get the correct part as vehicle parts can have more than one option due to changes on chassis / engine number or modification. We cannot be held responsible for wrong parts ordered if you have not carried out the above. If you . Fusebox Cover. 2499cc 141/106 16v. Cherokee Limited CRD (KJ). Electric Front & Rear Windows, Electric Wing Mirrors. Interior Trim Code. The table below contains further information. Internal Part Reference Number. Caja reles / fusibles JEEP GR.CHEROKEE 3.1 TD Laredo, Año: 2000 Código interno: 271386. Atención personalizada 24H. Español, galego, english, french, italian, german, portuguese. Nós podemos verificar isso. Gebrauchter Zustand. Es handelt sich um ein originales gebrauchtes Autoteil. Es handelt sich hier um eine. Marke Jeep Grand Cherokee II 3.1 TD. Grand Cherokee II 3.1 TD. Wurde sorgfältig ausgebaut, und sofort gelagert. CAR MICRO BLADE FUSES We are supplying a pack of 100 car fuses to suit 99% of cars. Consist of micro blade fuses of 15 AMP and 10mm wide. 100 Fuses in total. All variable other sizes also available in our shop. Fast Dispatch PLEASE NOTE Important notice BEFORE ordering Please DO NOT rely on the compatibility list to make your decision of parts, as cars come with many variations and fitments on the same make and models. Check things like dimensions size and other stated fitment criteria prior to ordering to make sure you get the correct part as vehicle parts can have more than one option due to changes on chassis / engine number or modification. We cannot be held responsible for wrong parts ordered if you have not carried out the above. If you . 2014 Jeep Compass MK49 2.4 Driver Assist Module. JEEP COMPASS. Model Compass. Fuel Type Petrol. Body Colour Black. Engine Code ERZ. Body Type SUV. Chassis Number 1C4NJDDB7ED625128. Part Number: 56049915AA. 2005 - 2010 Jeep Grand Cherokee WK 3.0 CRD Fuse Box. We also boast an extensive used car parts centre. We willALWAYS resolve your issue but would ask that you call us in order to do so. Sicherung Mini 2 A. Fuse Mini 2 A. OEM No.:6101523. 94/96 XJ Cherokee. Circuit breaker. 93/96 ZJ/ZG Grand Cherokee. $•In good condition •Usual marks of wear •Genuine part •See photos! °Free shipping to UK mainland only! (Ask for quotes to all other destinations) °Collection welcome °Any questions please ask Thanks for looking!. Caja reles / fusibles JEEP RENEGADE Trailhawk 4WD, Año: 2014 00520432780 28497652. Referencia : 116RI000777. Código interno para información: 707777. Nós podemos verificar isso. Wir können es überprüfen. FIAT 500X 2017 1.6 Diesel ECU 0261031204 55265162 Jeep Renegade. JEEP GRAND CHEROKEE FUSE BOX COVER. Sicherung Maxi 20 A. Cherokee XJ 97-01. Fuse Maxi 20 A. OEM No.:6101679. 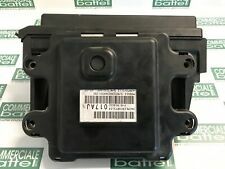 FIAT 500X 2015 1.4 ECU Engine 55260938 JEEP RENEGADE. Sicherung Mini 7,5 A. Fuse Mini 7,5 A. OEM No.:6101485. Sicherung Standard 5 A. Fuse standard 5 A.
Sicherung Standard 10 A. Fuse standard 10 A. OEM No.:138808. Sicherung Maxi 60 A. Cherokee XJ 97-01. Fuse Maxi 60A. OEM No.:6101643. CAR MICRO BLADE FUSES We are supplying a pack of 100 car fuses to suit 99% of cars. Consist of micro blade fuses of 7.5 AMP and 10mm wide. 100 Fuses in total. All variable other sizes also available in our shop. Fast Dispatch PLEASE NOTE Important notice BEFORE ordering Please DO NOT rely on the compatibility list to make your decision of parts, as cars come with many variations and fitments on the same make and models. Check things like dimensions size and other stated fitment criteria prior to ordering to make sure you get the correct part as vehicle parts can have more than one option due to changes on chassis / engine number or modification. We cannot be held responsible for wrong parts ordered if you have not carried out the above. If you have any questions about. CAR MICRO BLADE FUSES We are supplying a pack of 100 car fuses to suit 99% of cars. Consist of micro blade fuses of 10 AMP and 10mm wide. 100 Fuses in total. All variable other sizes also available in our shop. Fast Dispatch PLEASE NOTE Important notice BEFORE ordering Please DO NOT rely on the compatibility list to make your decision of parts, as cars come with many variations and fitments on the same make and models. Check things like dimensions size and other stated fitment criteria prior to ordering to make sure you get the correct part as vehicle parts can have more than one option due to changes on chassis / engine number or modification. We cannot be held responsible for wrong parts ordered if you have not carried out the above. If you . 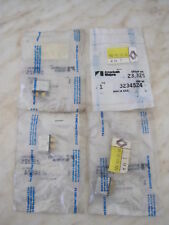 Sicherung Mini 4 A. Fuse Mini 4 A. OEM No.:930636. Sicherung Standard 40 A. Fuse standard 40 A.
Sicherung Standard 15 A. Fuse standard 15 A.
Sicherung Standard 20 A. Fuse standard 20 A.
Sicherung Standard 25 A. Fuse standard 25 A.